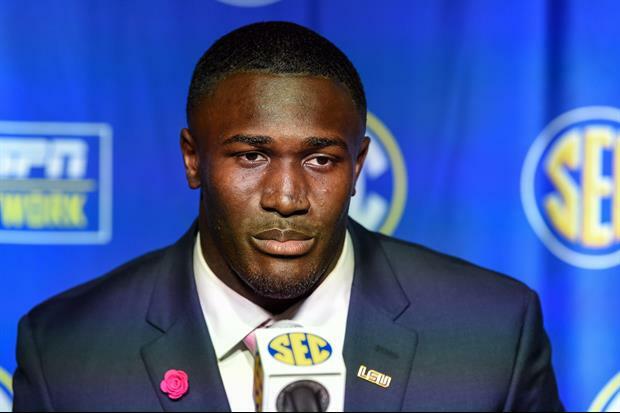 LSU star junior linebacker Devin White declared for the NFL Draft this week and wrote a heartfelt 'Thank You' letter to Tiger Nation on Tuesday as he moves on to the next chapter of his life. I look back over my time at LSU, I am very truly thankful for every single person and experience. To the LSU president, Dr. King Alexander, and the LSU Athletic Director, Mr. Joe Alleva, thank you for the opportunity to attend this esteemed institution, and represent its phenomenal athletic department. To Coach O, I can’t thank you enough for entrusting me as a team leader and for treating me, not like a player, but like ason. Youhavemade a tremendous impact on my life and for that, I’m forever grateful. This young man is going to be successful in everything he chooses to do with his life. This letter should be handed to every Freshman ballplayer on the first day he arrives. Devin, as a fellow resident of Webster Parish your football accomplishments and more importantly your maturity and the way you carry yourself makes us all proud. Look forward to following what should be an extremely successful NFL career. Same goes for Carolina and TB as well. Anywhere but one of those three. Seen a lot of greats in 20 years of going to games, but Devin White may be #1. He's certainly interchangeable with any of the other names you would throw up there. With that level of both humility, gratitude, and iron will, this young man will grow into something far greater than an athlete. What a wonderful and heart felt letter- so sad he’s leaving and so happy good things are happening for him and his family. God bless Devin. Awesome letter from an awesome person. Guy's like him keep me watching football. You will be missed Devin! GEAUX TIGERS! Love you big guy, thanks for all the amazing memories. Best of luck to you in your NFL career. What an amazing role model this young man is. I never had a brother growing up, but if I did I wish it could have been Devin White. Dont blame your toddler-like attention span and reading limitations on DWhite baw. Definitely your loss for not reading. I bet you also follow Bama as well. Class act. He will go down as one of the Tiger greats. He just gets it.